If you provide ministry under the auspices of The Presbyterian Church in Canada and you are accountable to a court of the PCC, you qualify for a site! PCCWeb was conceived to provide simple, free web presence for congregations and ministries that don’t have web expertise (or funding for it) at their disposal. The tools necessary for creating a modern website are out there, and we bring them to you in a neat package. 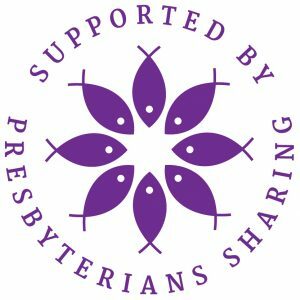 The websites provided through PCCWeb are completely free of charge and are funded through gifts to Presbyterians Sharing. It may not have all the bells and whistles, but PCCWeb can give your congregation/ministry a simple, easily-maintainable web presence. The backend administration interface is intuitive and clear. Creating a website—even a simple website—can take time. We try to make the process simple and straightforward, but some time for ‘tweaking’ will be necessary. Even with the simple, back-end administration interface, there’s plenty of opportunity to learn. You can be as hands-on or hands-off as you want to be. With millions of users, WordPress has one of the biggest and best development communities on the planet. Combine that with helpful, accessible in-house administrators in the Communications Office, and you’ll never have a question go unanswered or problem unaddressed. Use this online form to send us basic information that we can use to get your new website up and running. Once your website is up and running, you will be able to make changes to it and add information yourself. View video tutorials that cover a few basic admin operations, like creating a new page, editing a page, and creating a Calendar/Events page. Use this easy WordPress guide to help you with better understanding the WordPress environment. Can we register our own domain name? Once you’ve registered your new custom domain name for your PCCWeb website, contact us to get the information required to point your new domain name to our hosting server. Will our website display well on all devices? Yes, all the current themes available in PCCWeb are responsive, which means they’re made to change their layout to whatever screen size they’re being viewed on (computer, tablet, phone, etc.). Will we be able to track our website analytics? Yes, Google Analytics is integrated into the network. You can see your individual website stats on the admin dashboard with a link to see all stats. Also page/post specific stats are available on the edit screen for each page/post on your website. How much storage space will our website have? 1GB of storage space is allotted to each website on the PCCWeb. To best manage your website storage it’s advised to optimize file sizes of photos and documents uploaded to your website. Also, posting videos to YouTube and embedding them in your website page or post instead of uploading them to your website is best for three reasons: You conserve your storage space, take advantage of YouTube’s steaming servers for better user playback and benefit from SEO (Search Engine Optimization) by creating more links back to your website, boosting traffic. Are there any limitations using PCCWeb? No access to the backend code of the website to customize the layout and functionality, aside from the ability to add HTML in the main content area and some custom CSS. No FTP access to server files, but you can upload files (PDF’s, Word.doc’s, audio, images, etc.) through the WordPress media upload functionality. Themes and plugins are limited to those made available to the network. All currently available themes are modern, responsive themes that are kept up-to-date eliminating security issues. New themes will be added in the future. No email services are provided, so you will need to use generic email such as gmail or outlook or purchase email services such as Google Gmail for Business or Microsoft Office 365 Business if you own a domain name and would like to use it in coordination with your website. Transfer of existing websites and code onto our network is prohibited. Starting with PCCWeb means you’re starting from scratch, building your website using the available themes. Looking for a trusted company to help you with your church website? it4worship.com can guide you through managing your PCCWeb WordPress website, either helping to customize your site within the PCCWeb network, or assist with setting up your site outside of PCCWeb. An independent full-service technical consulting and implementation firm, it4worship.com understands the limitations of the church budget. Any questions or comments regarding PCCWeb can be emailed to the Communications Team or call 1-800-619-7301 or 416-441-1111 ext. 268.